Disneyland is as much about the fun foods as it is about the magic and rides, wouldn’t you agree? 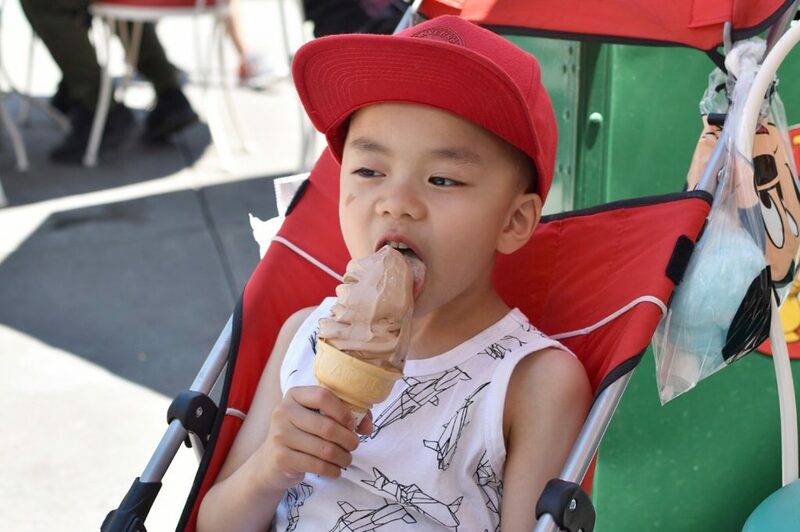 This summer I got to celebrate my nephew’s birthday with my family at Disneyland which included soaking up that sweet southern California sunshine, going on lots of rides, walking like crazy, and of course – eating some fun food! Here are my Top 10 favourite fun foods I recommend you try during your visit to The Happiest Place on Earth! 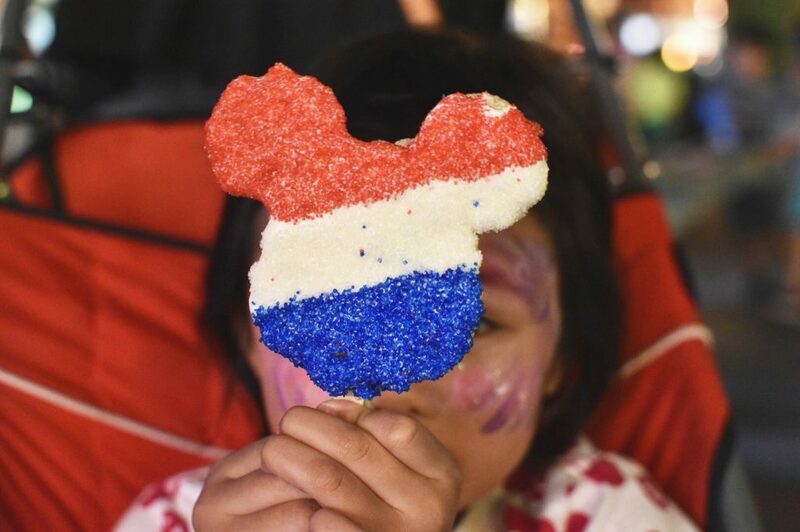 A Fourth of July-themed Mickey Mouse-ear rice krispy treat at Disneyland! Located pretty much everywhere in both parks, you’ll find adorable Mickey Mouse-shaped treats. From Mickey Mouse waffles at the Main Street Carnation Cafe and beignets at the Mint Julep Bar in New Orleans Square to Minnie Mouse candy apples and mouse-eared rice krispies, you’re going to have to really exert some willpower to ensure you don’t buy all the adorable, mouse-shaped treats available at Disney. 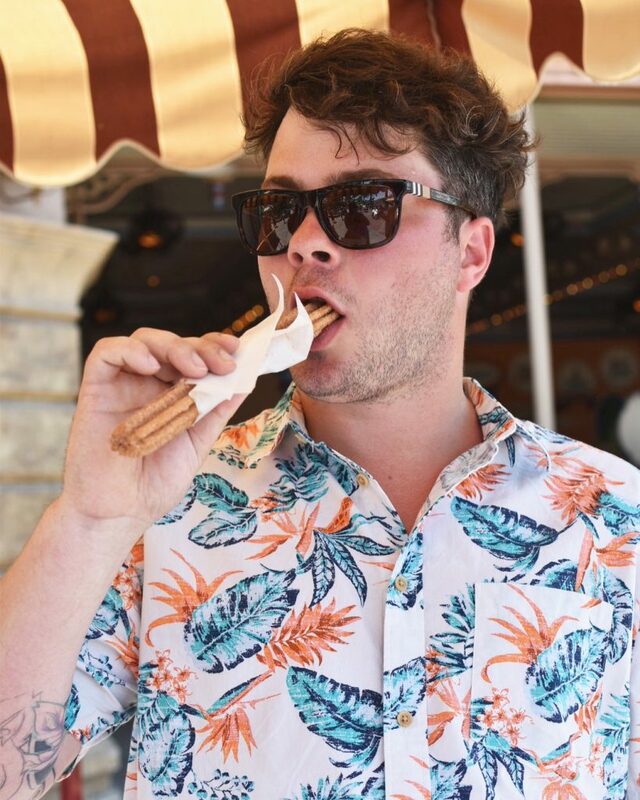 Mmmm, churros all over Disney/California Adventure! Racing Stripe Churros at California Adventure. 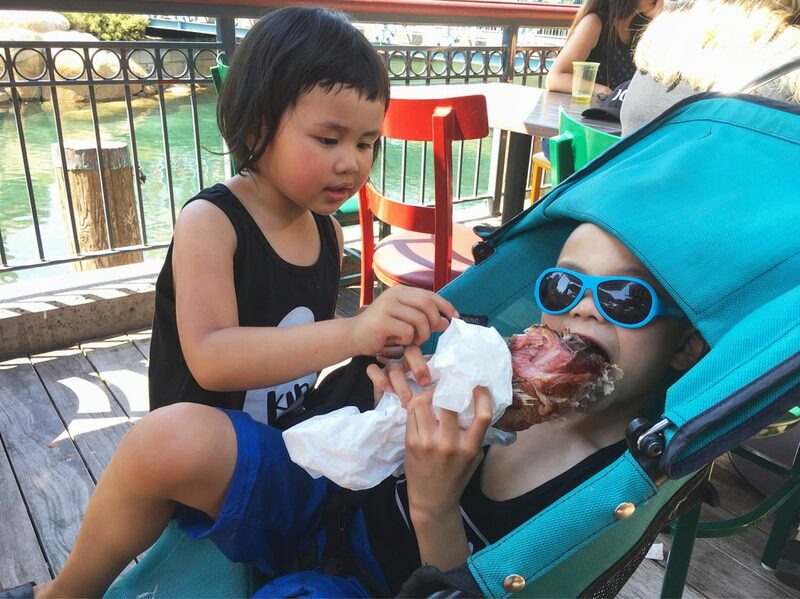 A turkey leg for the whole family! A very cheesy, savoury cone in Cars Land California Adventure. 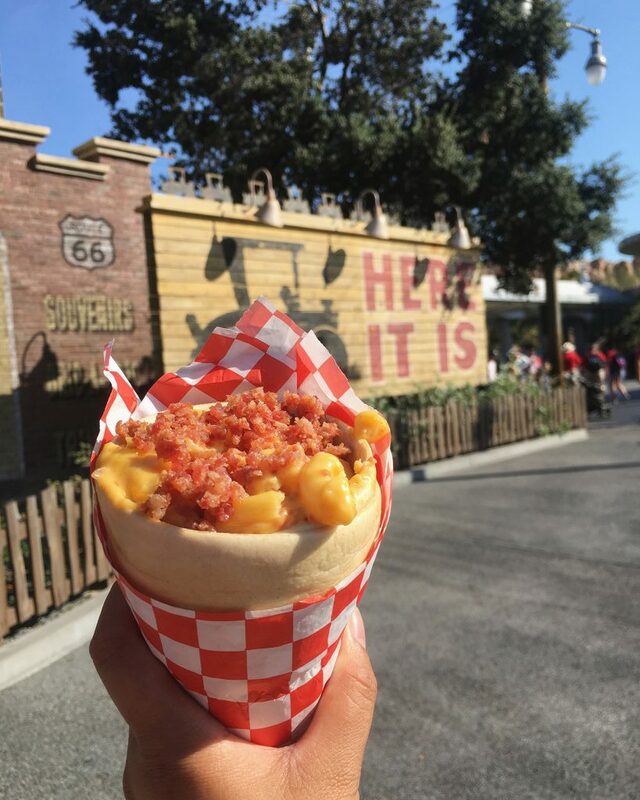 Located at the Cozy Cone Motel in California Adventure (Cars Land), if you’re like me and actually prefer savoury treats over sweet treats – this savoury, Mac ‘N Cheese ‘cone’ (the cone is made out of bread) may be just right for you! This one actually isn’t formally listed on the ‘queso’ cone menu, which consists of Chili Cone Queso and Chicken Salsa Verde Queso, but you can ask for it up at the counter. It’s super cheesy and delicious! 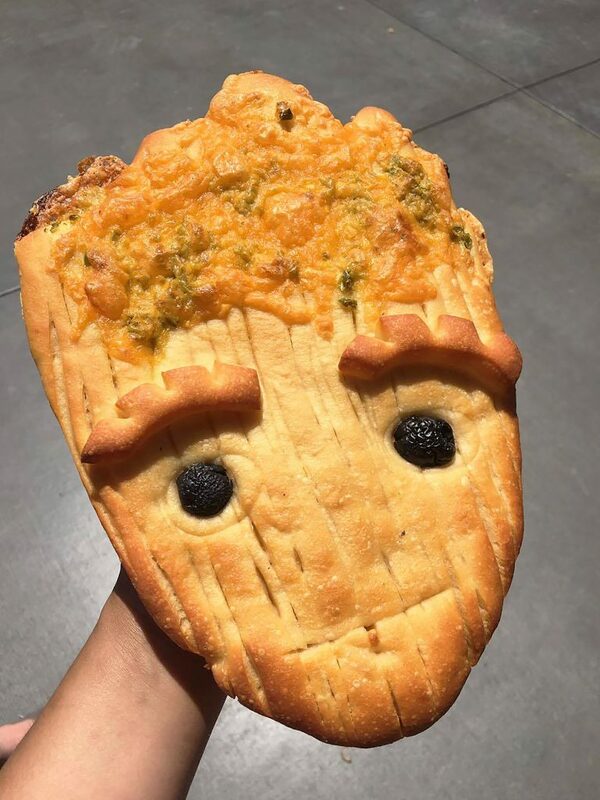 Want some adorable jalepeno and cheddar Groot bread from California Adventure?! This summer (2017), Disneyland/California Adventure unveiled its first Marvel-themed ride: Guardians of the Galaxy – Mission: Breakout, in the old Tower of Terror. It’s an amazing ride, but what the Disney-owning-Marvel thing means is that there’s also lots of additional Groot and other Marvel and Disney character-themed items. Pineapple Dole Whip (ice cream) Float (with pineapple juice!) at the Tiki Bar in Disneyland. 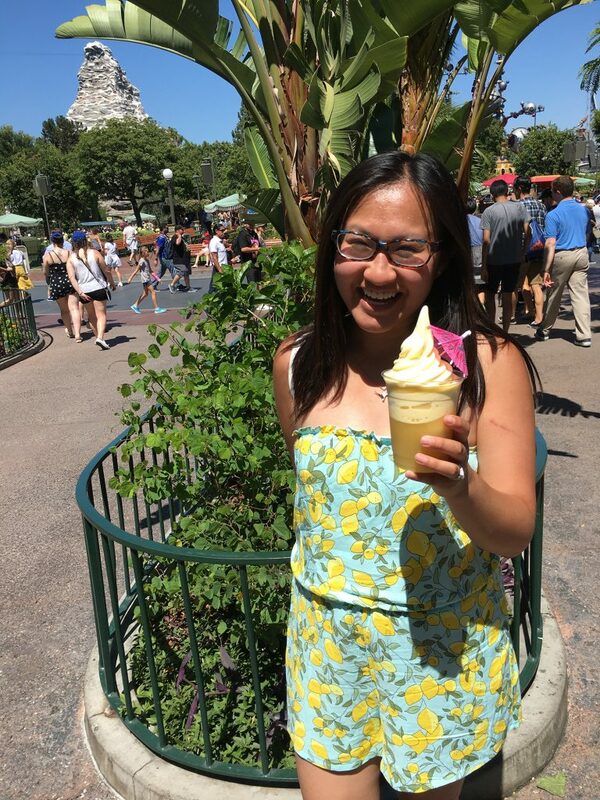 The famed Disney Dole Whip is only available at the Tiki Bar in Disneyland (Adventureland) and was so good I had it twice. 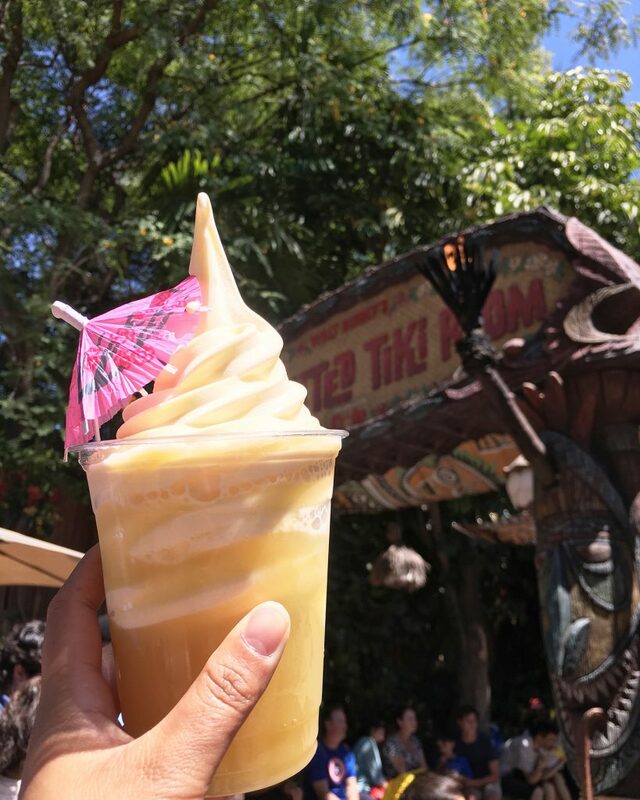 You can get the classic pineapple-flavoured, soft serve ice cream (the dole whip), just pineapple juice or a pineapple spear, or the pineapple Dole Whip Float. I LOVE pineapple juice so I got the float. I also think it’s extra refreshing adding the juice with the frozen dessert. The Hot Link Corn Dog from Corn Dog Castle California Adventure. 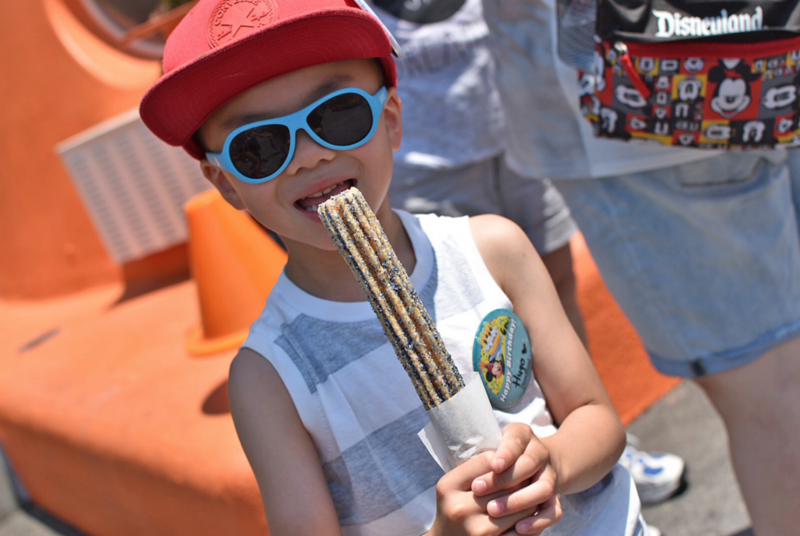 Like churros, I don’t know if you can go to an amusement park without getting a corn dog. 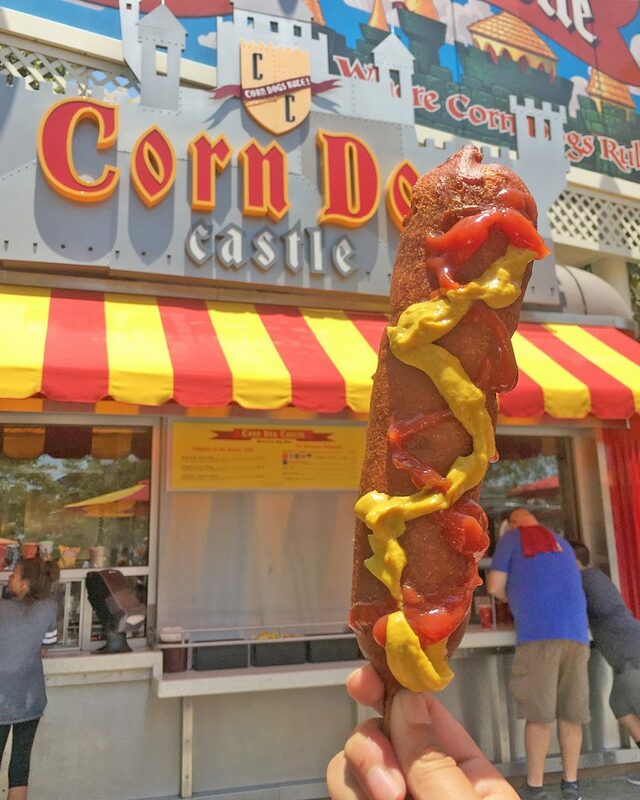 At the medieval-themed Corn Dog Castle in California Adventure you can choose from the Hot Link (spicier) corn dog, Original corn dog, or Cheddar Cheese Stick dog – each hand-dipped and deep-fried, with your choice of apple slices or chips (obviously choose chips lol). Don’t forget to add your condiments for that perfect bite of corn dog. 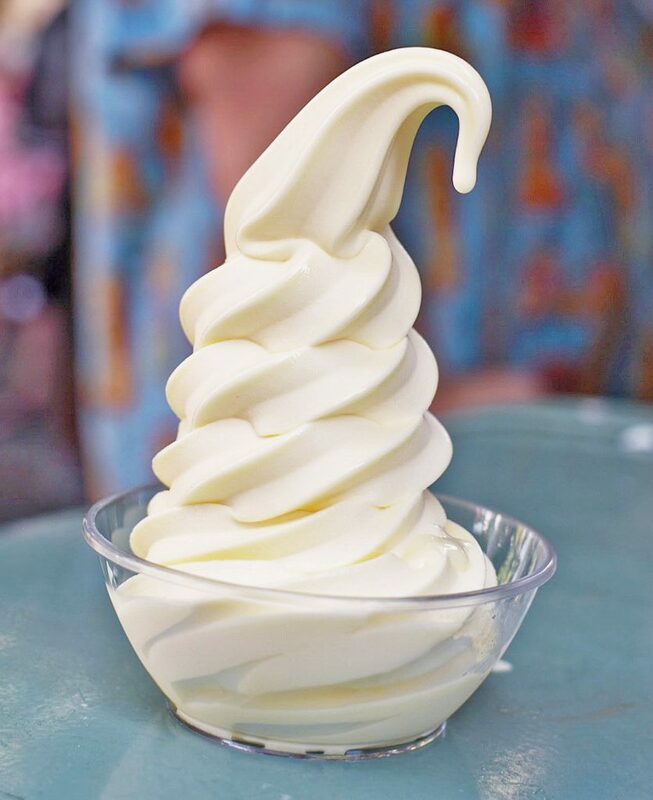 There’s just something about soft serve, swirled ice cream, isn’t there? Located at Clarabelle’s in Toontown (Disneyland) or the Paradise Pier Ice Cream Company (California Adventure), if you’ve got a soft spot for soft serve, these two spots are for you. Vanilla, chocolate or swirl ice cream is served in a cone or cup. There’s something simply nostalgic about licking soft serve ice cream. Even more so at Paradise Pier, which is themed like a boardwalk-style shop. Sips made sweeter with Groot. I’m just trying to fit as much Groot in this post as possible, apparently! But at Disneyland, you’ll find a Souvenir Cup at a bunch of different dining spots. 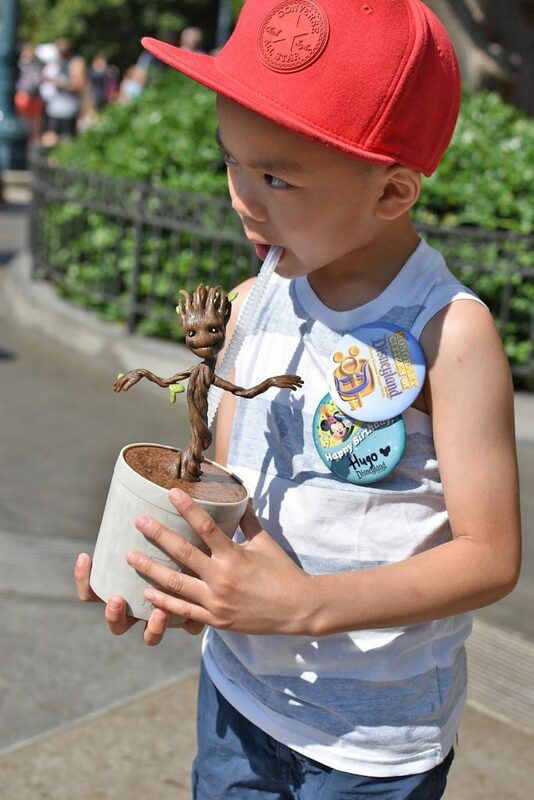 We got this Groot Sippy Cup in California Adventure when we went this summer, but I also spotted a Moana Sipper at the Tiki Bar, and you know there’s gotta be countless Mickey ones. It just makes drinking anything more fun! Adultin’ hard at Disney California Adventure. Who says Disney is just for kids? You won’t find alcoholic beverages in the Disneyland side of the park but over in California Adventure there are frozen margaritas, cocktails and beers in a few select spots. 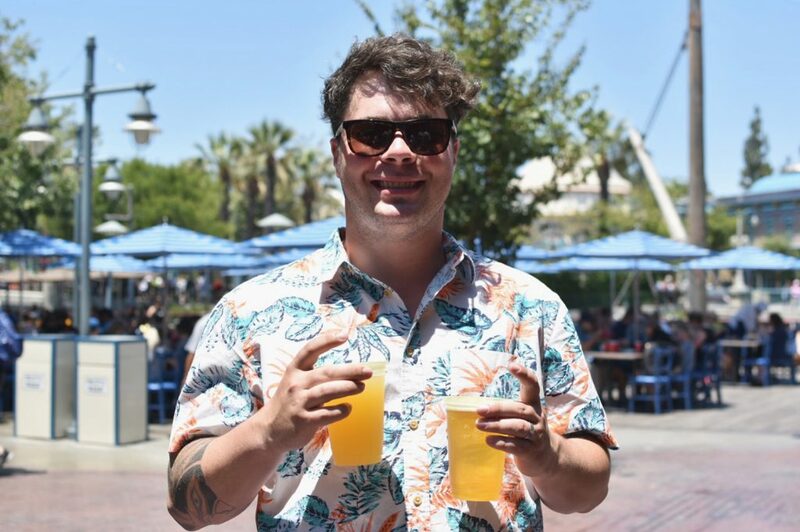 Mike quickly gravitated towards the craft beer at The Karl Strauss Beer Truck located on Paradise Pier. His most refreshing treat! Massive, tasty pizza from Naples Ristorante e Pizzeria in Downtown Disney! 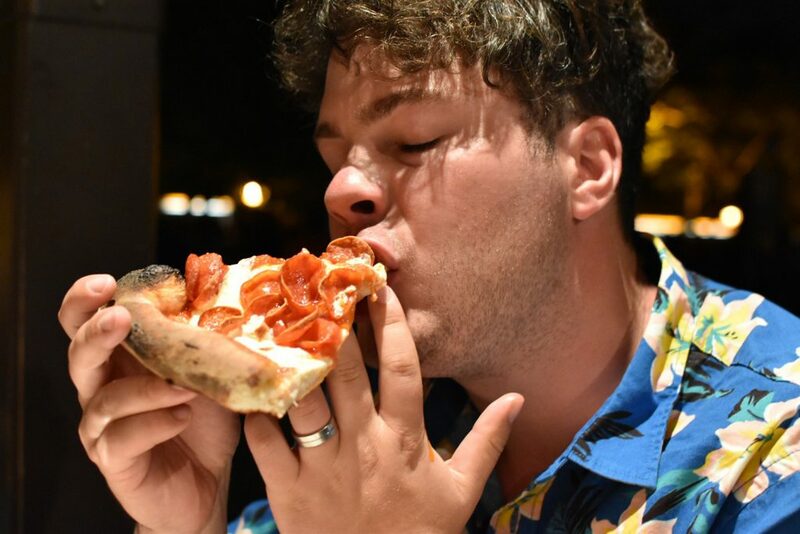 And finally, we had a couple of meals at Downtown Disney, including pizzas at Naples Ristorante e Pizzeria and burgers at Uva Bar. Both spots were great and family-friendly. There’s lots of family-friendly restaurants along the Downtown Disney strip. I also wanted to go to a live jazz New Orleans restaurant but prices looked a bit steep. Also located in Downtown Disney: World of Disney (so many gifts!) and the LEGO Store (a kids’ dream). So that wraps up some of the fun food we ate on our Disneyland adventure! There’s a lot of really great dining options at these parks – sometimes it’s just best to go in knowing what you’re looking for so it doesn’t totally empty your wallet! These are the ones I’d recommend. Feel free to leave a comment and let me know what your Disney go-tos are. 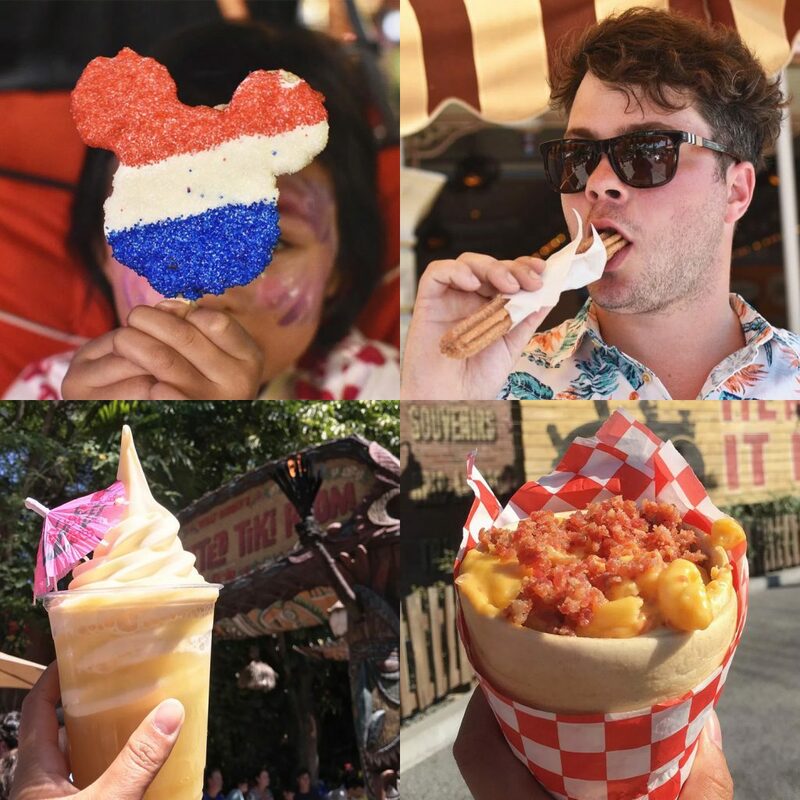 Pin + share my list of fun foods to try at Disneyland California Adventure!